Hold on... Let me step into my flame suit before I post. Yes I have used the search function. Ive found some very good info on this site, hence the reason I signed up. However, 90% of the threads I tried to refer to, the pics have been taken down, or whatever. As the title states, I am traditional body dropping an 88' 2 dr blazer. Yes, this is my first time doing this by myself, (but I have seen a few in progress, and helped a few friends on different model trucks.) No, I am not a newbie in fabrication. all that out of the way. 1. I dont want to tub the rear... I actually prefer to keep the back seat, and am hellbent on it, for my kiddos. Im looking for cuts around the rear fenders. I know I can cut on the out side of the fender seam, in the bottom of the fender well, close to the seam, and I can cut the high arch on the fender on the skeltal side of the body on the inside. Im just looking for pics of this in other builds, if anyone has ever done this. 2. the gas filler neck cover, on the interior side of the body. just curious on how some people have handled these. For info on the truck, well, Im body dropping 3.5", truck will only be running 15x7's on 195/60's, and will be static for the first year on a 5/6 drop. so, I dont need huge tubbed fender wells. I will be starting a build thread on this project in the next few days. 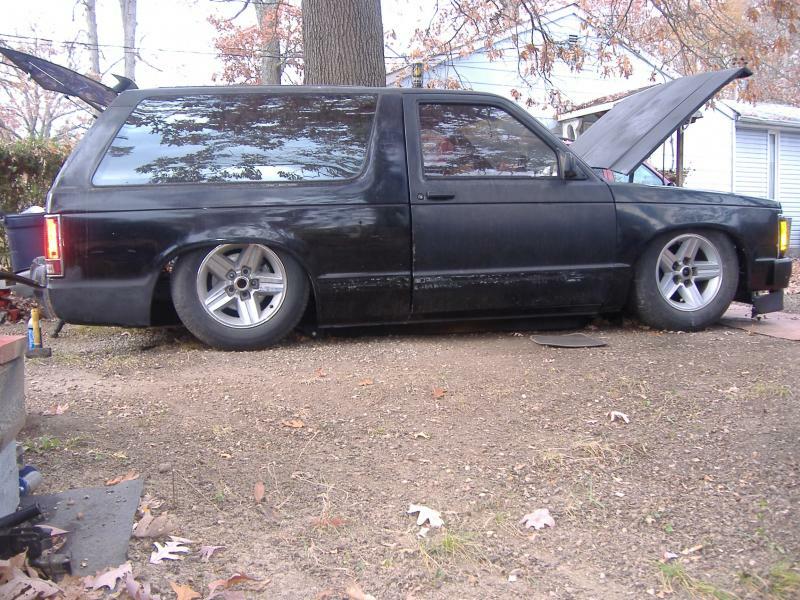 project never2low is a first gen gen blazer, its sfbd but you can still see how he tackled the rear fender. you can tub it and still keep a seat back there, just more work. blazed2 is building a trad bd first gen blazer, not sure how far along he is right now tho. anything else, good luck as the pics are probably gone. Thanks! Yeah i seem to be running onto the pic issue in almost every thread. I will definitely check out the second mentioned users build thread. I might stock floor this thing later down the road to lay door, but for now this little bit, will do. I plan on posting images and doing a build thread when i find a photo sharing site im content with. Ahah! Finally found a decent app. Mods please delete this post, and 2 previous, as it wont let me delete them myself. 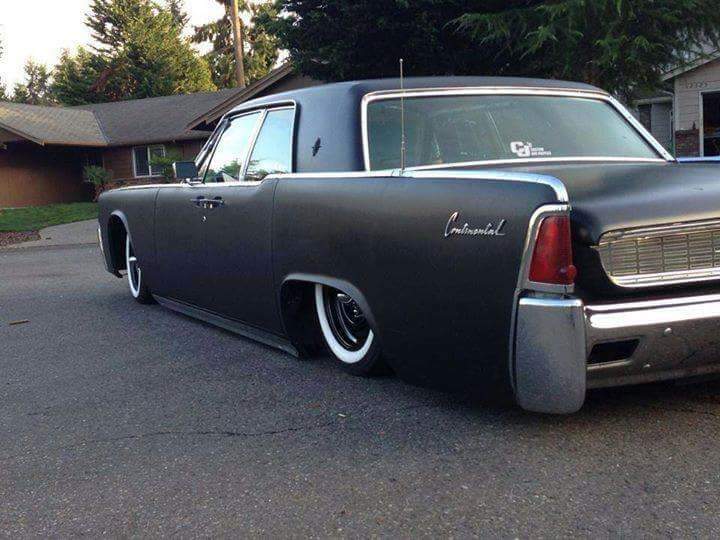 thats a clean lincoln, it can stay lol is it yours? If you really want to be traditional, call it by the original name, channeling, not body dropping. I like the Lincoln also. sorry did not see this post and ya i know its old but if anybody is doing this and need info or pics hit me up. truck will be done by the end of this coming fall. shorting for mid summer. mines a 92 s10 blazer 2dr , 2wd , modded 4.3 , auto , fbss bag setup , 4-link , shock on all 4 corners , thorbros control arms ( upers/lowers) 2in cups 2600 bags in front , f9000 sleave bags in rear. and traditional body drop pinch to bottom of frame. modded 2.8 , 700r4 . and a lot of other mods.
"" old school build ""
no rust. bagging it. and switching over all the stuff from 88.
doing all 2nd gen. blazer brakes.